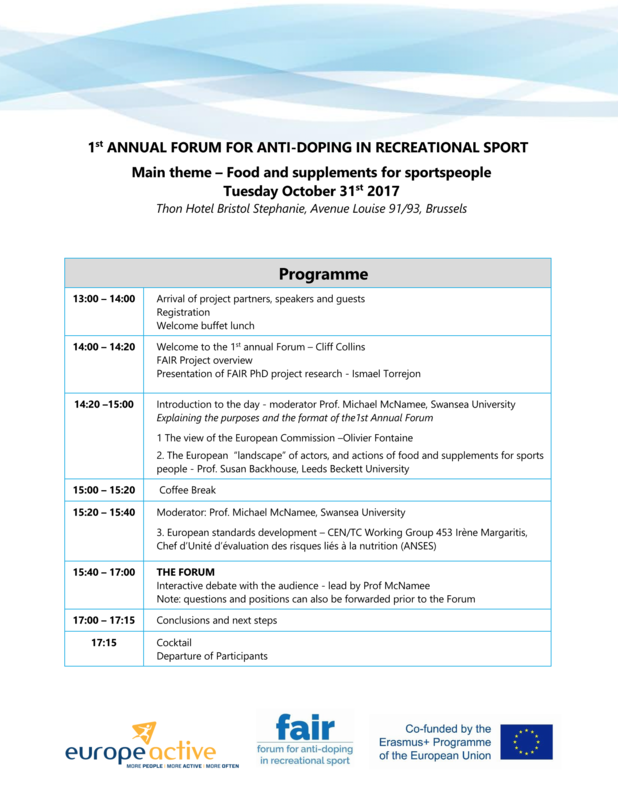 On October 31st, the first forum for anti-doping in recreational sport will be held in Brussels, Belgium, on the topic "Food and supplements for sportspeople" (see programme below). 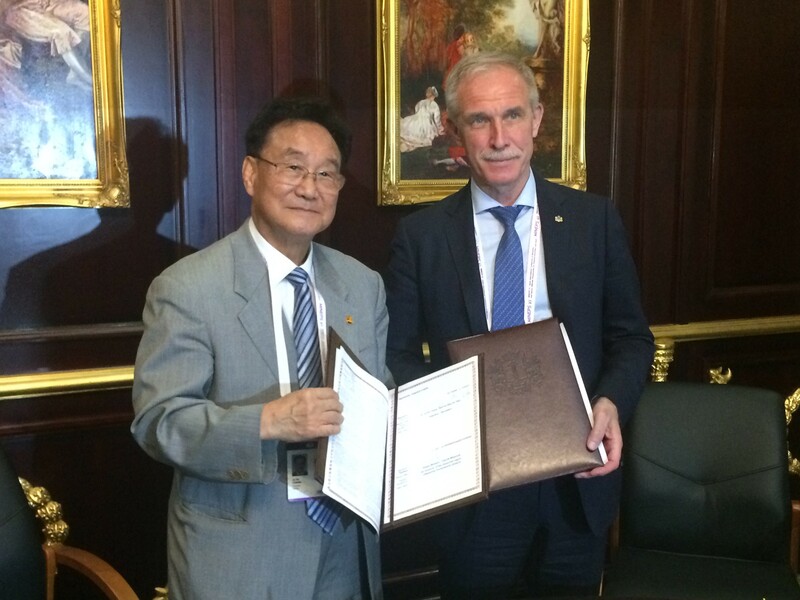 TAFISA, Evaleo and IOC Actively Promoting Health and Physical Activity Through the New Global Active City Programme. 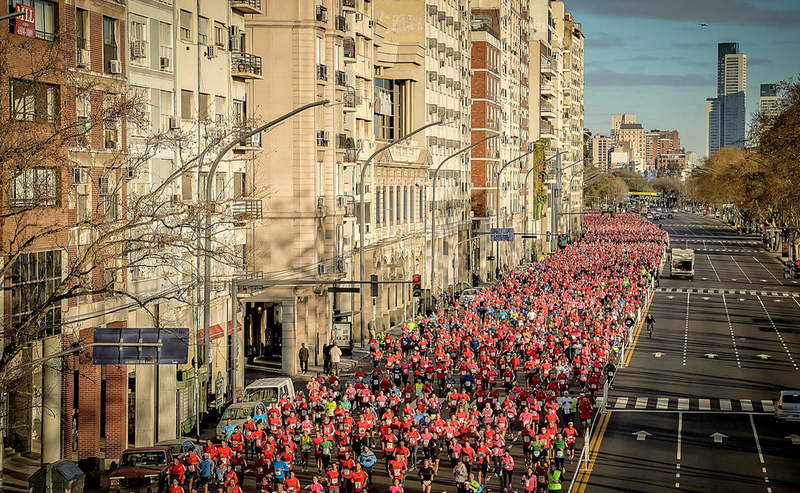 Read more about TAFISA, Evaleo and IOC Actively Promoting Health and Physical Activity Through the New Global Active City Programme. 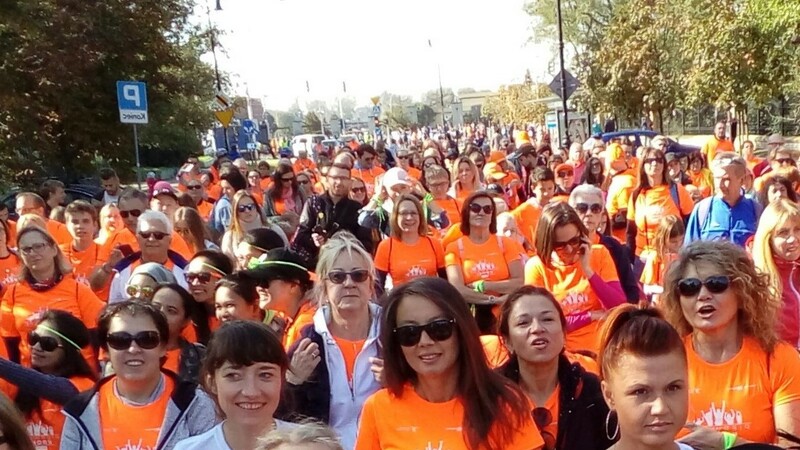 More than 500,000 participants joined the TAFISA World Walking Day 2017 all over the world. Many countries participated, including Botswana, Japan, Dominican Republic, Russia, Slovenia, Portugal, Israel, India and Hungary among others. 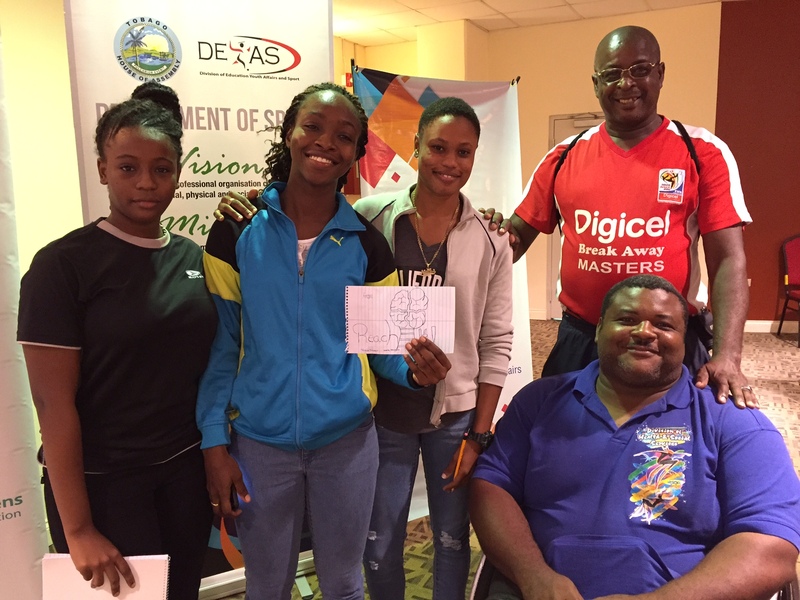 Participants at the Tobago TAFISA Advanced CLC proudly show off their “Reach It” program idea to increase physical activity amongst university students. 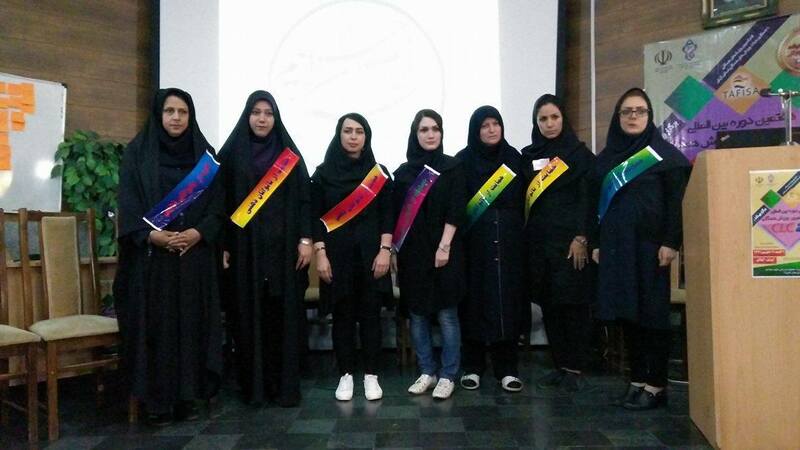 The National CLC was organised in Rasht, the capital of the Gilan province of Iran, on August 28th – September 3rd, 2017. 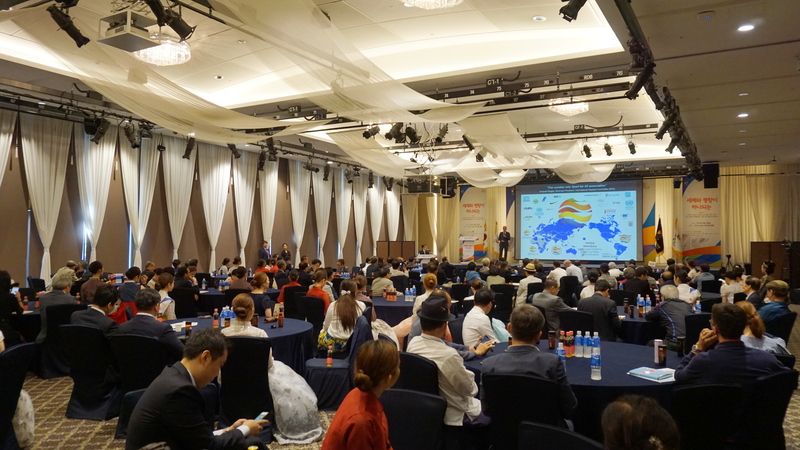 Forum in Seoul Gathers 250 Participants in Preparation of the 25th TAFISA World Congress in Korea. 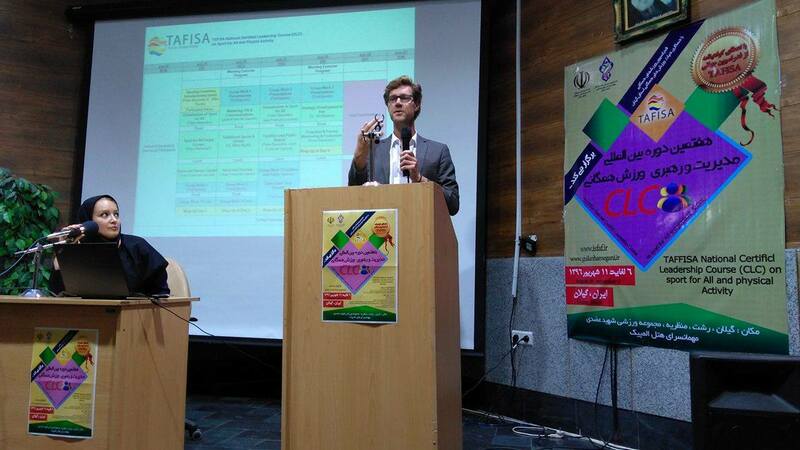 Warming up for the 25th TAFISA World Congress (November 15-19, 2017), the Organising Committee hosted a big Forum in Seoul, Korea, on September 1st. 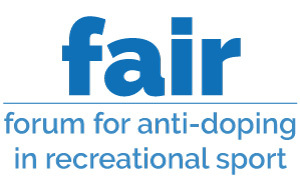 Read more about Forum in Seoul Gathers 250 Participants in Preparation of the 25th TAFISA World Congress in Korea. 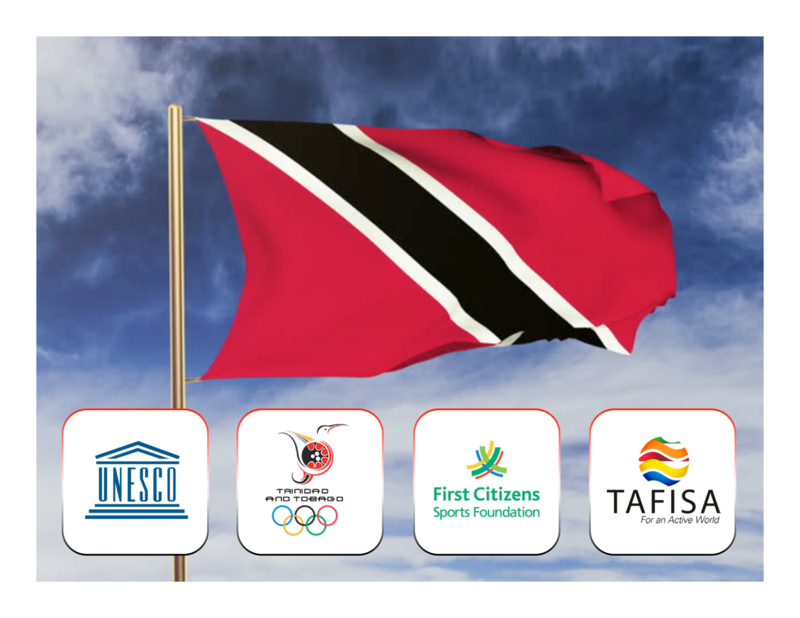 Trinidad and Tobago will see three great events hosted in September, raising the bar and building capacity in pertinent issues such as achieving social inclusion, gender equality and what it means to be an Active City Island. The Sixth International Conference of Ministers and Senior Officials Responsible for Physical Education and Sport MINEPS VI was successfully held in Kazan, Russia on July 13-15, 2017. 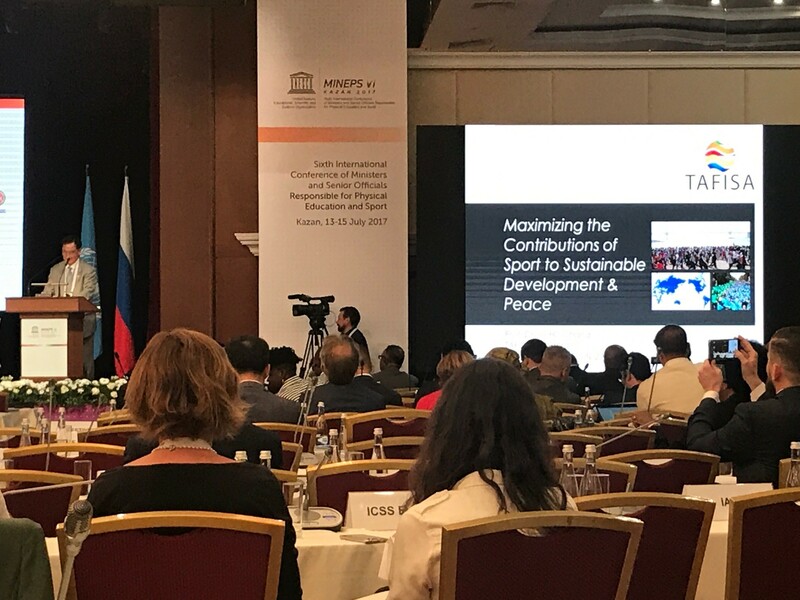 On this occasion, TAFISA President Ju-Ho Chang was invited to give a keynote speech on the theme of "Maximizing the contributions of sport to sustainable development and peace".